Anti Poverty Week forces us to turn our attention to the fact that homelessness and poverty are inextricably linked. Poverty impacts health and well being which in turn determines an individuals ability to participate in society, education, training and employment. The Australian Council for Social Service 2016 Poverty in Australia Report states around 3 million people are living in poverty in Australia. 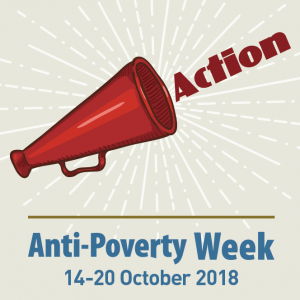 The aim of Anti Poverty week is to highlight the causes and consequences of poverty and encourage research, discussion and action to reduce poverty. How can poverty be reduced? improved affordability of essential health and community services such as dental care, child care, and respite care.